While not created before the age of television, this model of the Comox Post Office certainly shows a dedication to handcrafting and embellishment. The model was made in 2002 by Dave McKay (b. 1930 – d. 2008) of Union Bay. 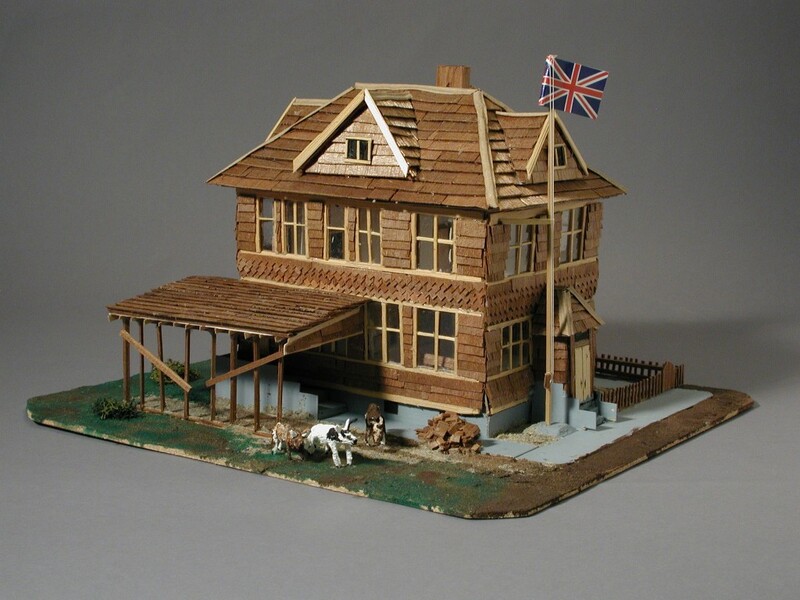 Dave was well known for creating miniature replicas of Comox Valley landmark buildings. His replica of “old Union Bay” is on display in the former Union Bay School building. 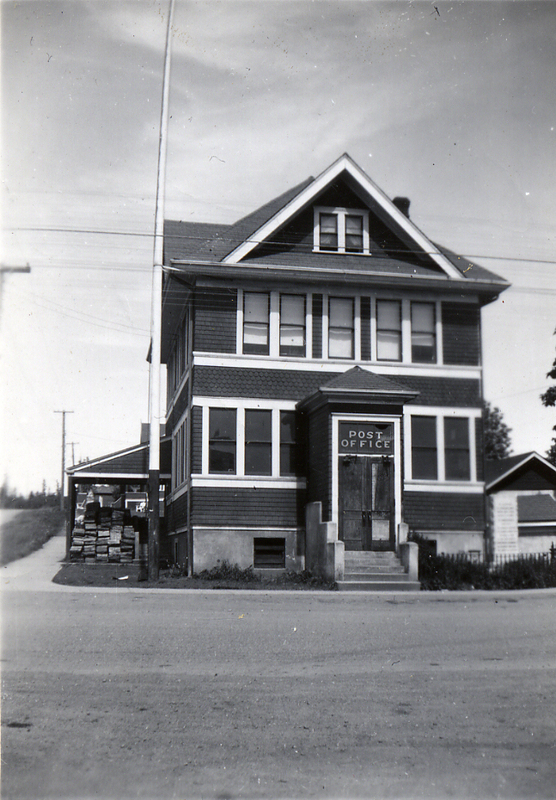 The Comox Post Office pictured here and modeled above, was built in 1913 and torn down in 1958 to be replaced by a modern facility. The summer programme schedule is up and we are taking bookings already for childrens’ programmes for July and August. 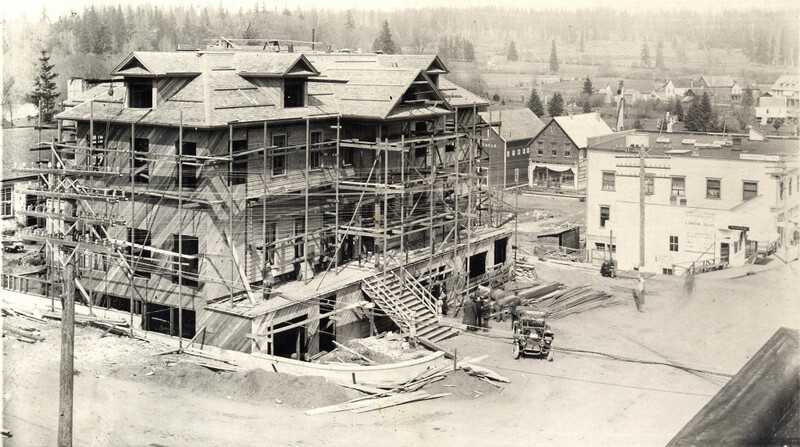 In the left foreground is the Riverside Hotel during its 1913 renovation. The hotel was built in 1889 or 1890 by John Grant. It was destroyed by fire January 2, 1968. The Fountain Plaza in front of the Sid Williams Theatre now occupies that space. 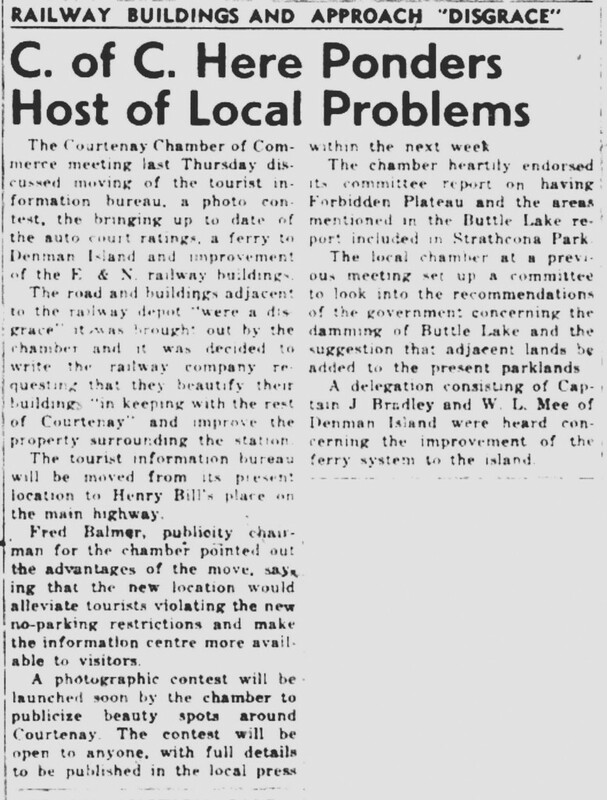 In this Comox District Free Press article from April 30, 1953 you’ll note that some stories just keep coming up! 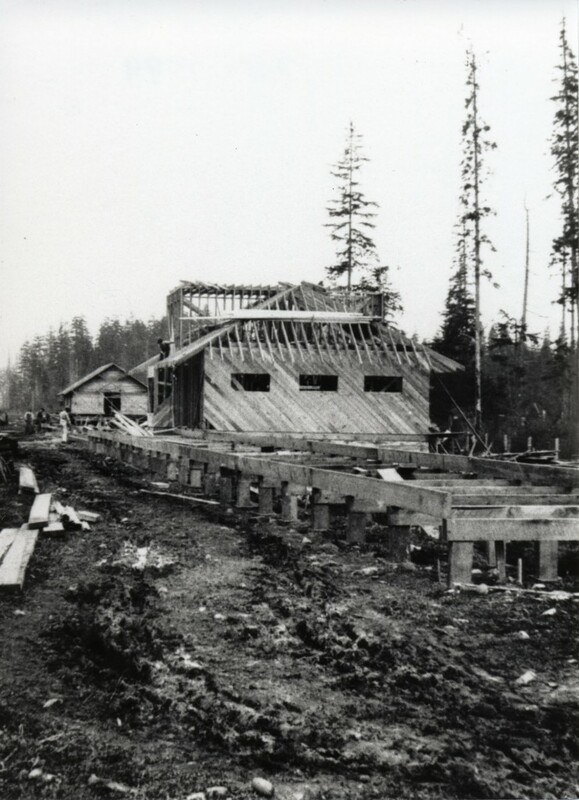 Courtenay E&N station under construction. The Courtenay and District Museum is gearing up for the 100th Anniversary of the E&N Railway coming to Courtenay on August 14, 2014 and to the 100th Anniversary of the Incorporation of the City of Courtenay on January 1, 1915. To start on the right track, we’ll be lending a hand to the Courtenay Rotary Club’s Trail Along the Rails project by getting information out about their online auction. If you want to find out more about this initiative here’s the link. In addition, the super curatorial team at the museum has been delving into archival, map and document files to bring more information to the community about the impact of rails in the Comox Valley; whether it be the E&N, hauling logs to Royston or the creation of logging camps, railways have played a major role in development of the valley. This summer, the museum will be presenting an exhibition, From Camps to Communities which will explore this wonderful history. Here’s one of the images that will be included in the exhibit. Our Easter Celebration at the museum was a fabulous success with over 300 visitors attending! 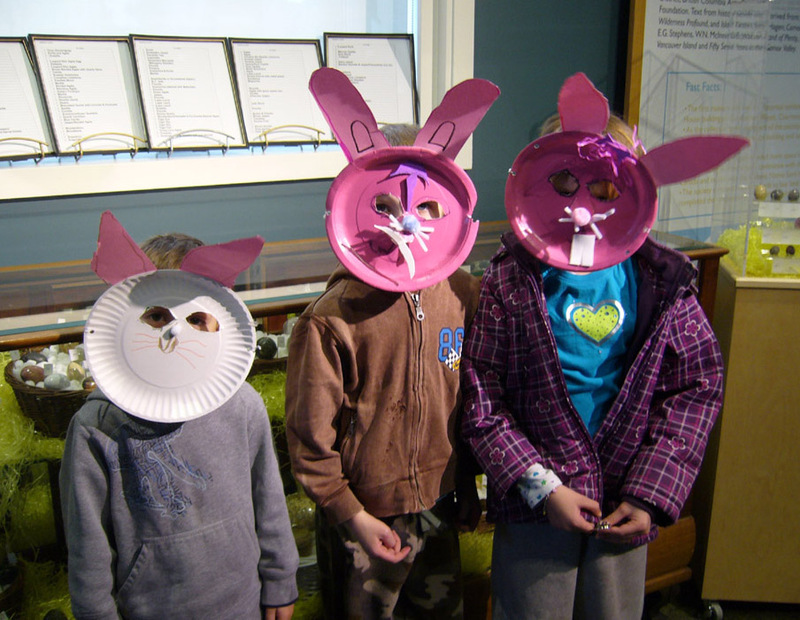 There was a line up for everyone who wanted to make crafts; the most popular craft of the day was the rabbit mask. The mineral egg collection was also a hit. We would like to give a huge thank you to the Shamrock Gumboot 4-H Club for bringing a vast array of animals for the petting zoo and to the volunteers who helped us prepare for the day. It was such a wonderful opportunity for all the children to be introduced to friendly farm animals. To top it off there was a visit from the Hot Chocolates Easter bunny who gave out some delicious chocolate samples. 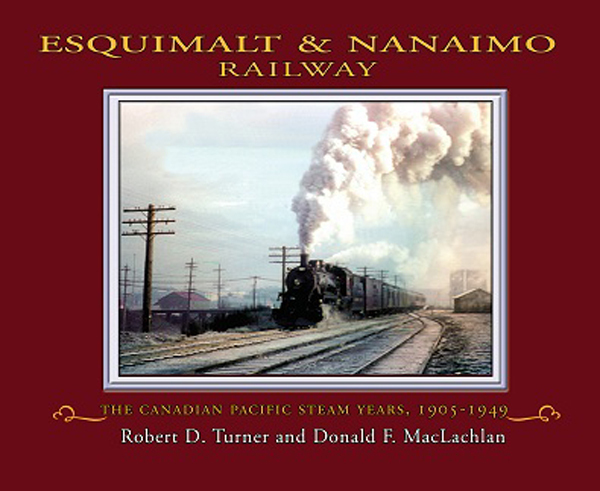 Join Robert (Bob) Turner, a leading authority on transportation history in BC, as he discusses the story of the E&N Railway’s CPR steam years. During the days of steam power on the railway, the E&N was a distant outpost of the Canadian Pacific Railway’s vast system, but it was a profitable one. It hauled logs and coal, fish and paper, strawberries and raspberries, beer and wine, automobiles and oil, and tons and tons of wood.